blog.TrustRadius: Why did HubSpot build a CRM? 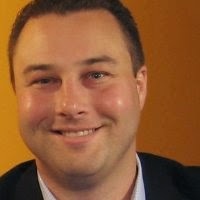 An interview with Mike Volpe, CMO. Why did HubSpot build a CRM? An interview with Mike Volpe, CMO. Executive interview by Vinay Bhagat, CEO TrustRadius. Just over a month ago, HubSpot, widely known for its comprehensive online marketing suite and as the torch bearer for inbound marketing, took many including myself, by surprise in announcing their own CRM solution at their user conference. HubSpot’s stated market focus is companies from 10 to 2,000 employees, however we estimate that 75% of their customers are SMBs with <50 employees (using the 158 reviews on TrustRadius as a guide). In recent years, HubSpot has been increasingly focused on attracting and retaining larger clients through adding more powerful marketing features. For example, in 2011, they acquired Performable, an email centric marketing automation provider, and in 2013 they upgraded their content management system (COS). At first blush, entering the CRM category seems like a departure from this strategy as the likely initial market is smaller companies. It does however further reinforce their position with SMBs and allows them to ultimately earn a higher “share of wallet” among those customers, once they elect to charge for the offering. I caught up with Mike Volpe, CMO to ask about the move and learn more about their new offering. Hubspot's announcement was indeed a surprise. Their focus on the sales rep is really important, and I hope it's something they succeed with. The thing about CRM is that sales reps don't want them; I mean real sales reps. You might work in sales, but if you're a real salesperson then you have your process and you don't want anything getting in the way.